Finally back in stock. We made many prototypes before agreeing that this had the best feel to it. Made from solid 6061T6 aluminum, it will not ever wear out. 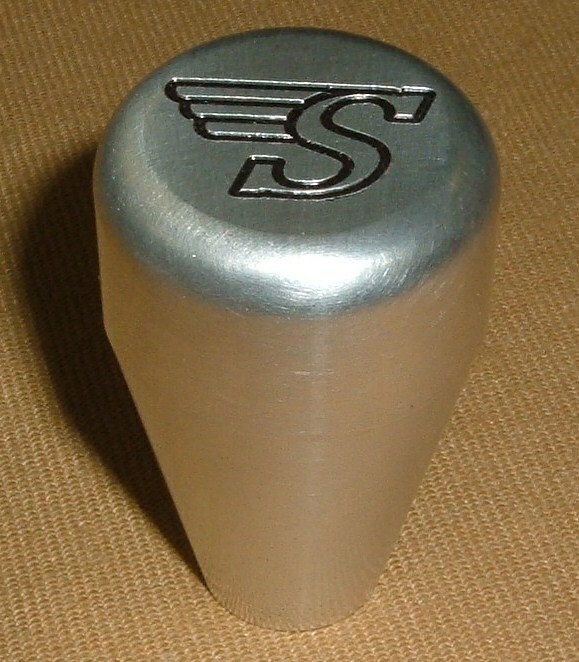 Engraved with the world famous “Flying S”. Threads right on to any Sprite/Midget. We also made a batch without the Spridget thread and can provide these with virtually any Standard or Metric thread.It has an overall height of 2″, is 1.25″ at its widest and 0.5″ at its narrowest.